Curing pure fat is one of the easiest things to do. This is something I learned from Christoph at Mosefund Farm's Pigstock. Since fat, especially the hard back fat of a pig, is so solid it has very little water to lose. So you can pack it in tons of salt and never worry about it becoming over salted, since it can only absorb so much salt before becoming saturated. The biggest issue is keeping it out of light, which could make the fat go rancid. But that's easily solved by a dark curing chamber, or covering the curing fat in a black plastic bag. Cured this way, the fat is called lardo, which is something I've done before with great success. But at Underground Meats in Wisconsin, I heard about a different way of curing back fat into lardo. 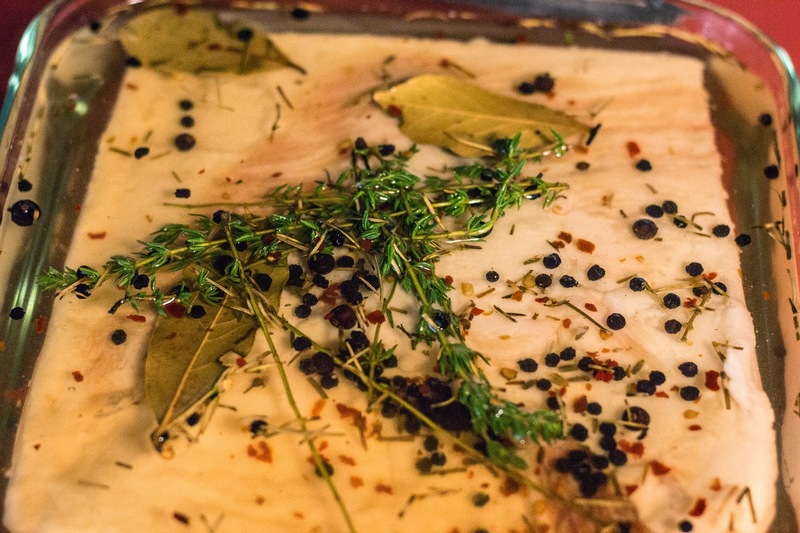 Rather than use a dry rub of salt and aromatic spices, you brine the slab of back fat, as if you were brining a ham. The discussion started with the topic of how most back fat is actually two large cuts of fat, with a tiny "seam" in the middle. This seam is a membrane that holds the two sections of fat together on the animal. You can divide the backfat into two thinner top and bottom sections to get rid of it, or you can keep it whole and cure the back fat as one thick slab. To keep the slabs thick, but to help eliminate the mouth feel of this membrane, Underground Meats has experimented with wet curing in a saltwater brine. This seems to dissolve the membrane slightly and results in a much creamier mouth feel when the lardo is sliced and eaten. For my brine, I went with a traditional mix of rosemary, bay, thyme, black pepper, and juniper, along with a small amount of red pepper. Since you're just eating pure fat, you really need a good quality animal to get a worthwhile flavor. So I used my final slab of Mangalitsa back fat, which was something of a bittersweet moment. 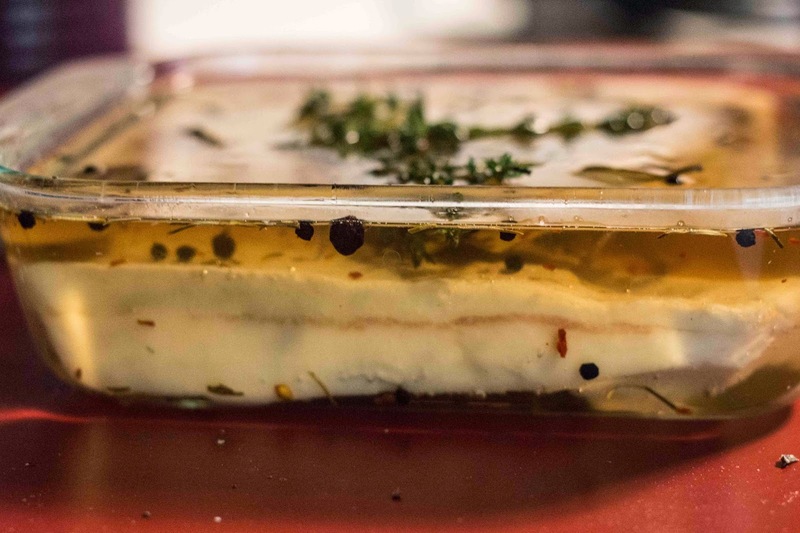 As for the actual salting, I made a brine as if I was curing a prosciutto-style ham (if you want a more scientific discussion on making a brine for Lardo d'Arnad, check out this great post). Now the fat will hang out for three or four months, aside from a monthly prodding and flipping to make sure all is well. Sounds awesome man! Im going to give that a try!